I’m barely able to contain my excitement that there is a 4 day weekend right ahead of us and it’s one that’s celebrated by eating bucket loads of chocolate. I’m being flippant really. Growing up with my lovely Christian Mum, Easter is such a special time for her. Much more important than Christmas. In my life, that translates as an opportunity for extra time to spend with the people we love (and celebrate with chocolate). Also, for me Spring time celebrations will always be close to my heart. 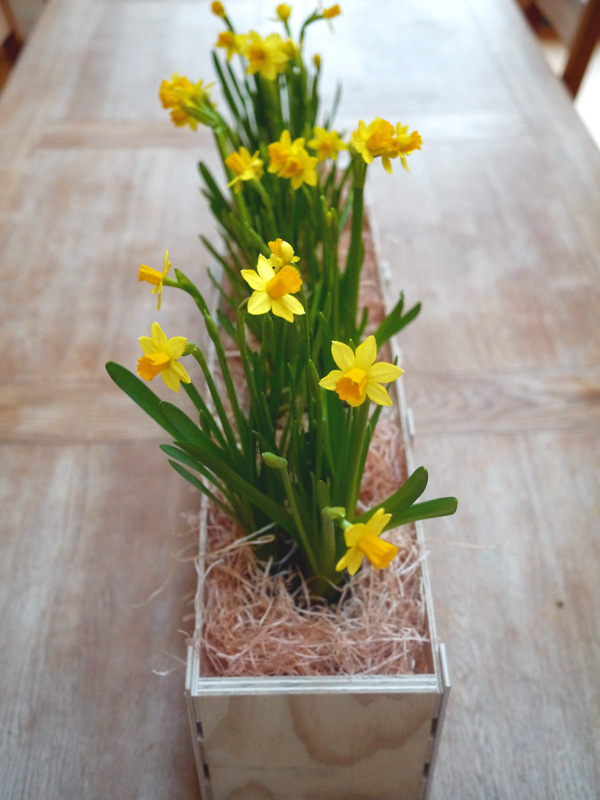 I have even come over all domestic goddess like in my preparations and made this little Narcissus flower arrangement. 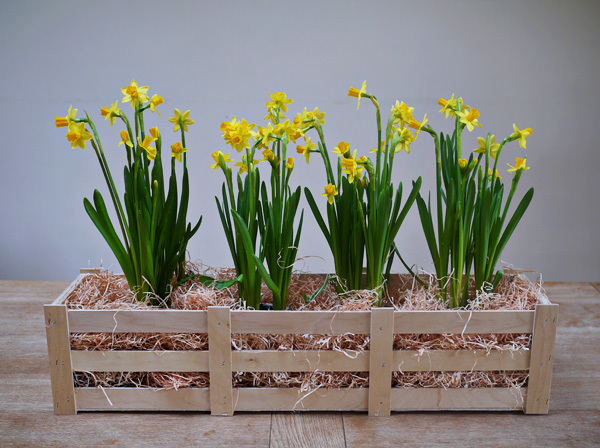 Well, I only re-used a crate from my gorgeous Mother’s Day gift and squished in some Tesco plants, but I’m quite impressed with myself. Our plans for the weekend include an Easter egg hunt here on Saturday with our NCT group friends, which we’ll be making some Filthy Fudgy Brownies for. 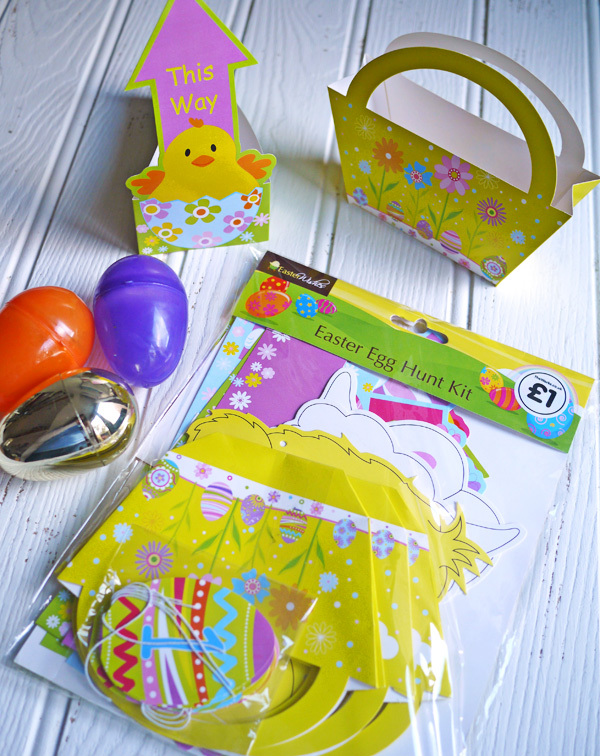 I’ve picked up loads of Easter goodies at The Works, including these very cute kits for a bargain price of £1. Trying to curb the total sugar overload for the toddlers of the house, I’ve got them each a little something, rather than chocolate, to have on Sunday. 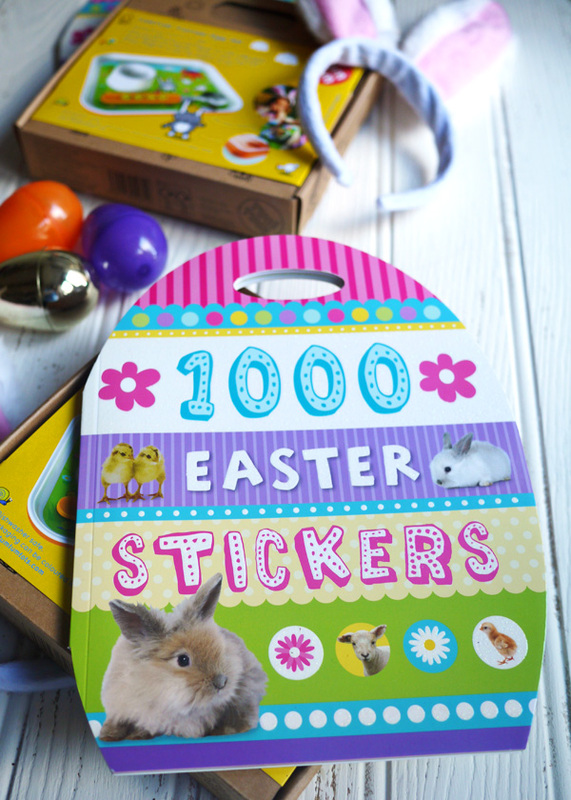 A new egg cup and an Easter Sticker book . I’m also re-gifting them their bunny ears from last year (beware, there’s a lot of cute in that link). 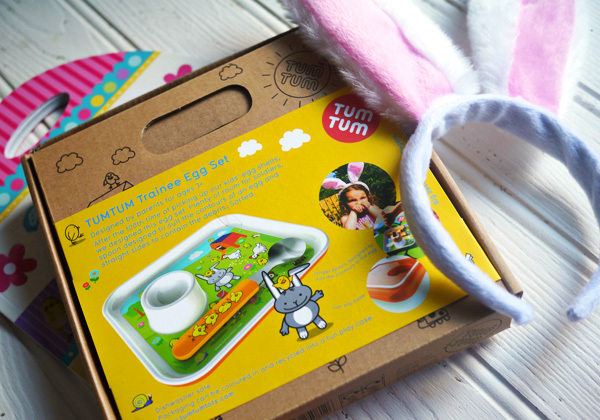 The very lovely TUMTUM Trainee Egg Sets are designed to be the perfect shape for toddlers to use for boiled egg and soldiers. I’m not sure if they’ll totally understand the concept of not eating the shell yet but they are a great design anyway. We’re also off to Hatton Adventure World on Monday to enjoy the Easter celebrations and see some animals. At the mention of this H likes to scream “CHICK CHICK CHICK!” at the top of her voice. I’m not sure quite how the animals are going to take to her greeting..
Hope you have a wonderful Easter, whatever you’re up to. 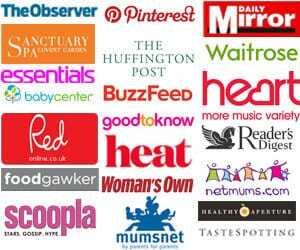 What are you doing, seeing, baking and most importantly, eating this weekend?